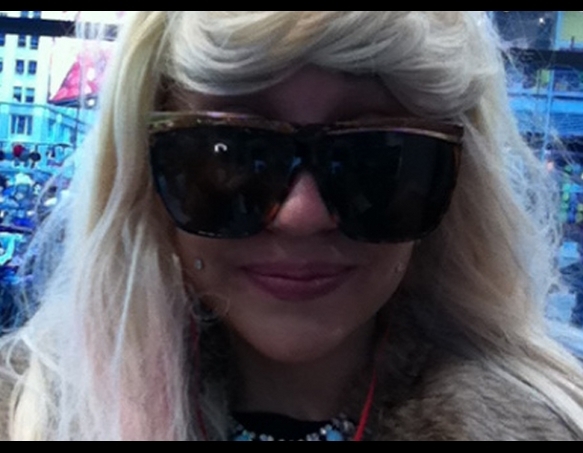 Amanda Bynes tweeted several pictures of herself last night while working out at the gym. She shows off her new Cassie inspired hair cut while wearing a full face of makeup and eyelashes. I feel like Amanda is on the verge of a breakdown. She's had a rough couple of months after getting kicked out of her old gym for allegedly smoking marijuana on the premises, trying to start beef with Jay-Z, and bashing her ex-boyfriend Kid Cudi. Does this hair shaving thing seem a little like Brittany Spears breakdown and head shaving moment in 2007? 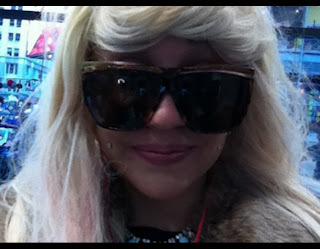 Get straight top sunglasses similar to Amanda's from West Seal.